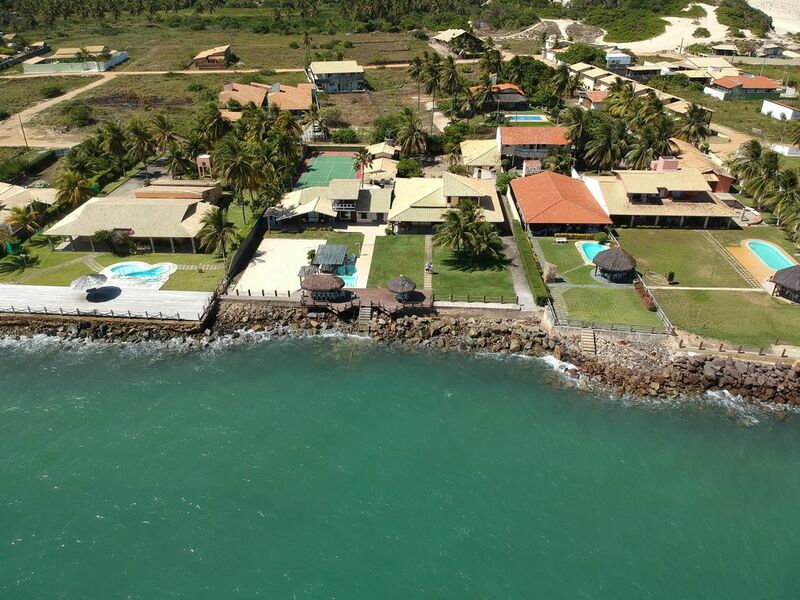 House by the sea, located in Praia do Saco, Estância, Sergipe, with 9 bedrooms, 7 bathrooms and 2 toilets. House with pool, tennis court, sand volleyball court, pool table, barbecue and wood oven. House with 2 kitchens, covered garage for 4 cars, plus 4 cars discovered. Hydromassage pool and thatched kiosks by the sea. Casa is 100 meters from the dunes of Praia do Saco.